The Downtown Development District, Creative Alliance of New Orleans and the Louisiana Cultural Economy Foundation has selected Gigsy, an online resource for local photographers and photography services, as this year’s arts-based business pitch winner during the 2017 New Orleans Entrepreneur Week. Gigsy has been awarded a prize package of seed capital as well as pro bono legal, accounting, PR, and real estate services, and a temporary downtown workspace valued at over $40,000. 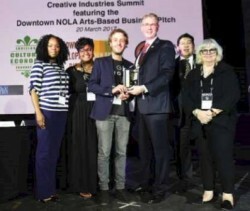 The Downtown Development District commends all of the finalists who participated at the 5th Annual Downtown NOLA Arts-Based Business Pitch for their compelling presentations and wish them great success in their future endeavors. 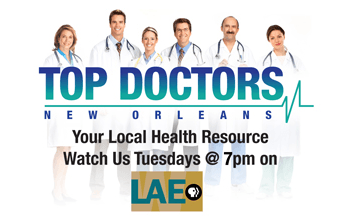 On March 15, Mayor Mitch Landrieu, the Downtown Development District, and city, state and federal service providers announced their plans to offer a low barrier shelter and other homeless services at the former Veterans Affairs hospital on Gravier Street. This new, comprehensive facility will not only offer 100 new overnight beds, but it will also allow low barriers to entry (like no admission fee or sobriety test), and offer a longer length of stay, including 24/7 access.